This collection of Best Religious and Church Joomla Templates will give you a great review for some of the best Joomla Templates in this category. Pick up one of these quality affordable Joomla Template and it’s certain that your online Religious or Church site will succeed! 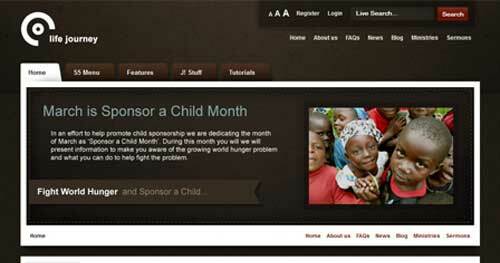 This template is intended to be used for building sites representing religious and non-profit organizations. A collection of additional ready-made pages is provided to make the website more informative, at the same time saving you time and efforts on the necessity to create extra pages on your own. 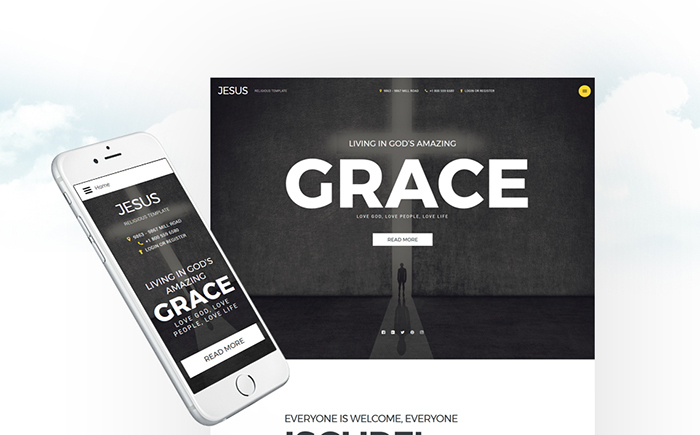 Grace also includes features that are designed to cater the special website needs of churches and other religious organizations. 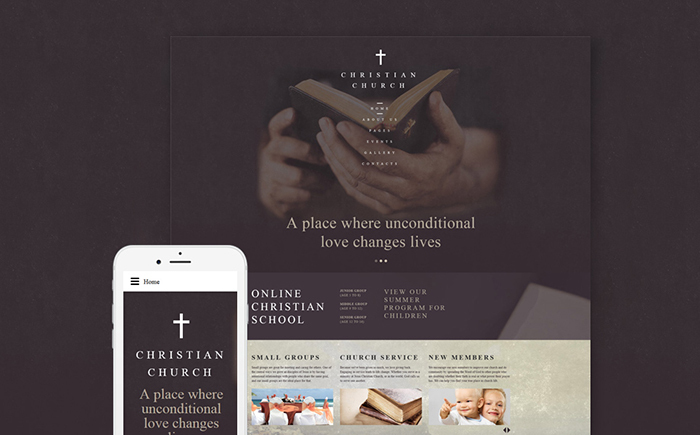 This church template has a “Services Section” that showcases the services your users or followers could request from you such as prayer requests, charitable assistance or other services. Hot Churchly template comes with demo images suitable for religious communities. 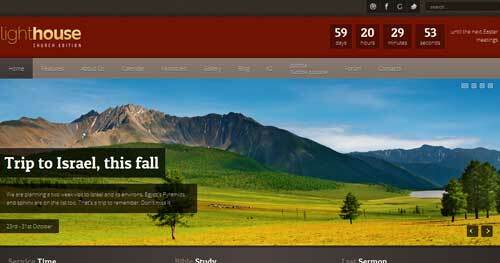 Hot Churchly is a responsive template based on the Sparky Framework. 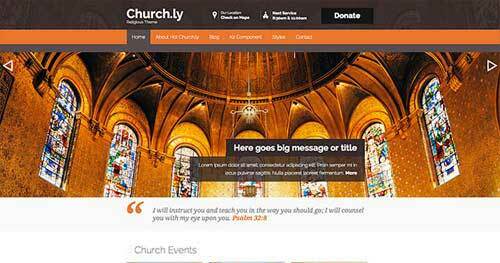 Churchy is a Responsive Joomla Church Template. Churchy Template is powered by Warp Framework and is fully internationalized and has been tested in all major browsers. Lighthouse is an intuitive responsive Joomla Template built with churches and non-profit organizations in mind. Soul Search is an extraordinary template that will take your church or ministry’s website to a whole new level! 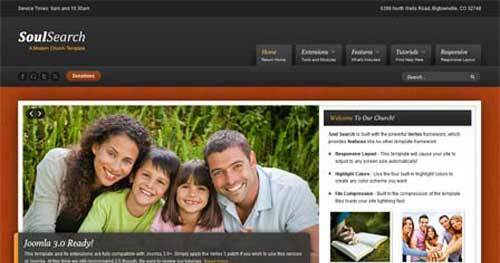 Life Journey is designed for a church or ministry website. 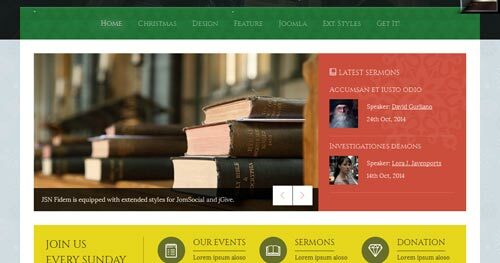 This Joomla templates comes packed with goodies to help any church easily gain a web presence. With extended styles for JomSocial, jGive and iCagenda, JSN Fidem allows you to build a community forum, raise donations as well as manage events efficiently.